This brief story of the Saskatoon Light Infantry has necessarily excluded the many personal exploits of individual members. This is unfortunate as it is the small personal story which gives life to any unit. However, an attempt is made to provide a simple, popular account of the regiment. The origin of the Saskatoon Light Infantry (M.G.) can be traced to 1907 when the first infantry unit was formed in the new Province of Saskatchewan. At that time, the 95th Saskatchewan Rifles were formed, with headquarters in Regina and a company in Saskatoon. In April 1912, by this time Saskatoon had grown to a city with 12,000 people, the 95th Saskatchewan Rifles were reorganized. From it were formed two regiments, the 95th with headquarters in Regina and the 105th with headquarters in Saskatoon. Later in that year the title "Fusiliers" was given to the 105th Regiment. In 1914 the 105th Regiment Fusiliers became allied to the King's Own Yorkshire Light Infantry, the 2nd Battalion of that Regiment having been formerly known as the 105th Madras Light Infantry. A further change in Regimental title was made in 1914 by incorporating the civic name to become the 105th Regiment "Fusiliers" (Saskatoon). During the Great War 1914-1918, battalions were mobilized to form units having a numerical title. Initially, the 105th Regiment "Fusiliers" (Saskatoon) made its largest contribution to the 11th Bn. C.E.F. This battalion in turn supplied a very great number of reinforcements to the 5th Bn. C.E.F. Substantial numbers of the regiment were drafted to other infantry units of the C.E.F., particularly the 65th and 96th Battalions which also mobilized in Saskatoon. After the Great War, reorganization took place in 1919 with a view of preserving the traditions and identification the C.E.F. units. 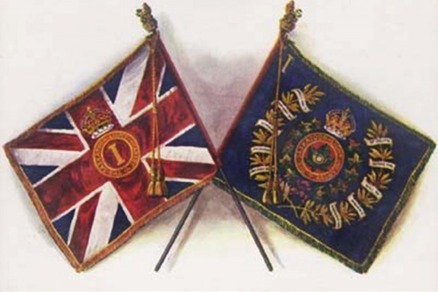 The North Saskatchewan Regiment was formed which incorporated the 105th "Fusiliers" (Saskatoon) as the 1st Battalion and the 52nd Regiment as the 2nd Battalion. The 1st Battalion perpetuated the 5th Battalion C.E.F. and the 2nd Bn. perpetuated the 53rd Bn. C.E.F. In 1923 the North Saskatchewan Regiment became allied with the Duke of Wellington's Regiment (West Riding). This resulted in the cancellation of the alliance of the 105th Regiment "Fusiliers" (Saskatoon) with the King's Own Yorkshire Light Infantry. A further reorganization of Saskatchewan Infantry took place in 1924. The 1st Battalion North Saskatchewan Regiment assumed the title "Saskatoon Light Infantry" and the 2nd Battalion, North Saskatchewan Regiment assumed the title “Prince Albert Volunteers". Two battalions of the Saskatoon Light Infantry were formed, the 1st Battalion perpetuating the 5th Bn. C.E.F. and the 2nd (Reserve) Battalion perpetuating the 65th Bn. C.E.F. In June 1925 the Saskatoon Light Infantry resumed its alliance with the King's own Yorkshire Light Infantry. "YPRES, 1915-17" --"Gravenstafel" --"ST. JULIEN"
"FESTERBERT, 1915" -- "Mount Sorrel" -- "SOMME' 1916"
"Theipval" --"Anchor Heights" --"Arras 1917-18"
"VIMY, 1917" --"Arleux" --"HILL 70" -- "PASSCHENDAELE"
"QUEANT" -- "HINDENBERG LINE" --"Canal Du Nord"
"Pursuit to Mons" -- "France and Flanders, 1915-1918." In 1936 an extensive reorganization of the Non Permanent Active Militia took place. At this time the Canadian Machine Gun Corps was disbanded and many infantry regiments including the Saskatoon Light Infantry became the Saskatoon Light Infantry (M.G.) with headquarters and three companies in Saskatoon, and one company ("C" Company) in Melfort. This was the status of the regiment when the world war started in September 1939.